SAN DIEGUITO UNION HIGH SCHOOL DISTRICT. The due process hearing in this case convened on August 31, 2011, and September 1 and 2, 2011, before Robert Helfand, Administrative Law Judge (ALJ), from the Office of Administrative Hearings (OAH), in Encinitas, California. Mother represented Student at the due process hearing. Student’s older brother attended the hearing on August 31, 2011. Justin Shinnefield, attorney at law, represented the San Dieguito Union High School District (San Dieguito or District). Dr. Eric Beam, Special Education Director for San Dieguito, also attended the hearing. On July 7, 2011, Mother filed with OAH a Request for Mediation and Due Process Hearing on behalf of Student. On the first day of the hearing, ALJ Helfand dismissed the North Coastal Consortium for Special Education as a party in the case. At the close of the hearing, the parties agreed to a briefing schedule. On September 14, 2011, counsel for the District submitted a closing brief which is hereby marked as Exhibit D-12. On September 16, 2011, Mother submitted a closing brief which is hereby marked as Exhibit S-23. The District has brought a motion to strike the Student’s brief as untimely filed. The motion is denied because consideration of the brief will not result in prejudice to the District. OAH closed the record on September 16, 2011, and submitted the case for decision on that date. On September 14, 2011, ALJ Helfand went on an extended emergency medical leave from OAH. ALJ Helfand is not expected to resume his duties at OAH until November 24, 2011. Based upon this development, on September 23, 2011, OAH held a telephonic Status Conference to discuss the options for proceeding in the matter. On September 26, 2011, OAH invited the parties to submit written argument on this issue. During the telephonic Status Conference, Mother expressed the desire for a timely written decision. In a brief submitted to OAH on September 27, 2011, counsel for the District argued in favor of waiting for ALJ Helfand to return to his duties at OAH and finish the decision. In a brief submitted to OAH on September 30, 2011, Mother changed her mind and argued for a retrial of the matter. OAH has an obligation under federal and state law to issue a decision in a special education administrative proceeding in a timely manner. Based upon this consideration, OAH has assigned ALJ Timothy Newlove to review the entire administrative record in this matter, including the three-day due process hearing and the evidence submitted at the hearing, and render a decision. Having reviewed the record, ALJ Newlove hereby makes the following decision in this matter. 1. Did the District violate Student’s procedural rights by predetermining his placement at Oak Crest Middle School, thus significantly impeding Parent’s opportunity for meaningful participation in the individualized education program (IEP) process? 2. Is the District’s offer of placement of Student at Oak Crest Middle School for the 2011-2012 school year, one that will not meet his unique needs and provide him with educational benefit because it is too great a distance from his residence? This case involves a rare medical condition and school sites that are a short distance apart. Student is a severely handicapped boy who suffers from abdominal migraine episodes. When an episode occurs, doctor’s orders include the requirement that Mother place Student in a warm bath at his home. This intervention eases Student’s pain and may prevent the need for hospitalization. For the current school year, Student matriculated from sixth grade in the Solana Beach School District to seventh grade in San Dieguito. San Dieguito has two moderate-to-severe programs that are appropriate for Student: Earl Warren Middle School and Oak Crest Middle School. Earl Warren is located 7.5 miles from Student’s home and Oak Crest is located 11.3 miles from his residence. Mother insists that the District place Student at Earl Warren because, if he has an abdominal migraine episode at school, a shorter drive to and from home means that she can more quickly place him in a warm bath. At a June 2011 IEP meeting, San Dieguito offered to place Student in the moderate-to-severe classroom at Oak Crest Middle School. Mother contends that the District predetermined this decision, and that the placement is inappropriate by not taking into account Student’s unique needs caused by his abdominal migraines. Based upon the following factual findings and legal conclusions, this Decision determines that the dispute in this case is based upon a good faith disagreement between the parties, that San Dieguito did not predetermine Student’s placement, and that the June 2011 IEP is appropriate under the law. 1. The Student in this case is a 12-year old male who resides with his mother and teenage brothers within San Dieguito. Mother receives a salary through a program called In Home Support Services for acting as Student’s caretaker. Student is not attending school. Mother has decided to keep Student in the home until the present dispute with the District is resolved in her favor. 2. Student is a severely handicapped child with a complicated medical history. He has a diagnosis of DiGeorge Syndrome, a genetic disorder, with numerous attendant medical and disabling conditions, including autism, cerebral palsy, epilepsy, congenital heart disease, strabismus, swallowing difficulties, chronic constipation, urinary retention, hydronephrosis, and chronic ear and sinus infections. Student eats soft foods orally and has a gastrostomy tube (G-tube) for liquids and medications. 3. Student is eligible for special education and related services under the primary disabling condition of intellectual disability and secondary conditions of autism, speech and language impairment, other health impairment and multiple disabilities. Student’s significant and multiple disabilities give rise to unique needs across all domains at school, in the home, and in the community. Student functions far below same-aged peers at school where the main focus is improving his ability to communicate and teaching functional skills. Student requires one-to-one assistance for the entire school day. 4. Student is non-verbal. He has developed a blend of communication abilities. He communicates through facial expressions such as smiles and grimaces, body movements such as head shakes, vocalizations through different sounds, gestures such as reaching for a preferred item or pulling a person toward a desired object, signing, and assistive technology devices. Mother testified at the due process hearing that Student can verbalize 10 to 15 words. Mother also testified that Student has about 40 signs that he can use at school, and additional signs that he uses at home. 5. Student’s strengths include a love of companionship. He enjoys music, dancing and swimming. He likes to learn routines. He has emerging skills in many areas, including an expanding list of words and signs that afford greater communication. 6. Student’s medical condition includes abdominal migraines. An abdominal migraine is a variant of a migraine headache. The abdominal migraine causes severe stomach pain, abdominal cramping and often vomiting. 7. Rachel Lambert testified briefly at the due process hearing. Ms. Lambert is a registered nurse with over 30 years of experience. She is a clinical supervisor at Maxim Health Care Services. Through Maxim, Ms. Lambert is Student’s case manager and assesses his health needs every month. Ms. Lambert discussed Student’s abdominal migraines and the medical doctor’s orders for treatment of such episodes. Student suffers from urinary retention and constipation, conditions which can trigger abdominal migraines. As he is nonverbal, Student shows that he is suffering from an abdominal migraine by growing quiet and rubbing his fingers. As the pain escalates, he may hit his head with his hands. The doctor’s orders require the following interventions: venting or opening Student’s G-tube to release stomach contents; placing him in a warm bath to induce voiding; and giving him medications. 8. For the 2010-2011 school year, Student attended sixth grade at Skyline Elementary School (Skyline Elementary) which is part of the Solana Beach School District (Solana Beach). 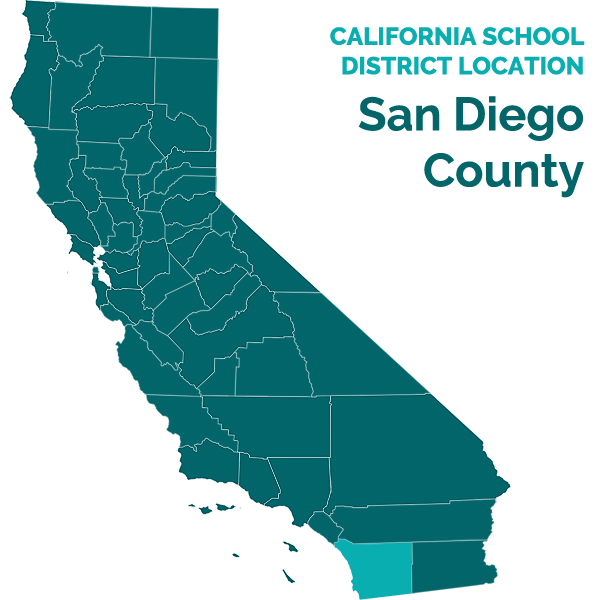 Both Solana Beach and San Dieguito are members of the North Coast Consortium for Special Education (NCC SELPA), a special education local plan area for school districts in San Diego County. Student was in the Severely Handicapped classroom taught by Twila Ginn. He received related services of speech therapy, occupational therapy and adaptive physical education. Student had attended Skyline Elementary since third grade. 9. Jeanne Johnson testified at the due process hearing. Ms. Johnson is a registered nurse who serves as a school nurse for Solana Beach where she has worked since 2000. Ms. Johnson was a credible witness in that her testimony was neutral and professional. Ms. Johnson knows Student as she has provided nursing care for him at Skyline Elementary. In particular, Ms. Johnson has treated Student during episodes when he has suffered from abdominal migraines. In providing this treatment, Ms. Johnson testified that she follows the orders provided by Student’s pediatrician, Bretten Pickering, M.D. Ms. Johnson stated that she lays Student on his side and either vents or unplugs his G-tube in order to expel the gas or stomach contents that are causing distress. Ms. Johnson stated her primary goal is to have Student return to the classroom after the G-tube intervention, but if he cannot do so, she telephones Mother to inform her of the situation. 10. Ms. Johnson testified that, during Student’s sixth grade year at Skyline Elementary, he experienced no more than four episodes of abdominal migraines. Of these episodes, she could not recall how many times Student was able to return to class and how many times she needed to telephone Mother. Ms. Johnson testified that none of the episodes required calling 911. 11. Kathy Burand-Cimo (Cimo) testified briefly at the hearing. Ms. Cimo is a registered nurse who has served as a health technician at Skyline Elementary for eight years. Ms. Cimo knows Student as she has provided him with medications at school on a daily basis. Ms. Cimo testified that she recalled that Student had a couple, no more than four, abdominal migraine episodes during the 2010-2011 school year. She recalled two episodes in particular. In one, Student had a fever and had to go home. In the other, after Ms. Cimo vented his G-tube, Student was not getting worse, but not getting better, so Mother took him home. Ms. Cimo testified that, during the episodes, Student whined and hit his forehead with his hands. 12. Twila Ginn testified at the hearing. Ms. Ginn is a special education teacher for Solana Beach. She has been a special education teacher for 16 years. Ms. Ginn served as Student’s teacher for two years at Skyline Elementary. Ms. Ginn testified that she witnessed one time when Student had an abdominal migraine. She recalled that Student was agitated and hitting his head. She recalled that fluid was coming out of his mouth. She recalled that the school nurse treated Student by venting his G-tube. Ms. Ginn remembered that the school called Mother, and, that by the time she arrived, Student seemed to be fine. Ms. Ginn recalled that Mother then departed with Student for home. 13. Theresa Wetherhold testified at the hearing. Ms. Wetherhold is a speech and language pathologist who has worked at Skyline Elementary for the last five years. Ms. Wetherhold has provided speech therapy for Student for four years. She testified, in these four years, she once witnessed Student hitting his head, which was perhaps a prelude to an abdominal migraine. She stated that she has not seen Student in the throes of an abdominal migraine. 14. In May 2011, Solana Beach performed a triennial evaluation of Student. The assessors included Ms. Johnson, Ms. Ginn and Ms. Wetherhold. The triennial evaluation included a health update, observations and standardized tests in the areas of cognition, academics and adaptive behavior. The triennial evaluation also included assessments of Student’s speech and language abilities and his needs in the areas of occupational therapy and adaptive physical education. The assessment team made numerous recommendations for the upcoming school year, including placing Student in a quiet setting with minimal distractions, improving Student’s use of different communication techniques, and teaching Student functional classroom routines and work systems. 15. On May 17, 2011, Solana Beach convened an IEP meeting for Student. This was an annual IEP meeting that concerned the triennial evaluation and Student’s special education program for the 2011extended school year and the 2011-2012 school year. The team members included Mother, Ms. Ginn and Ms. Wetherhold. At this IEP meeting, there were no representatives from San Dieguito. Based largely upon the results of the triennial evaluation, the team established Student’s present levels of academic achievement and functional performance. The team developed 17 measurable goals in the following areas: functional hand-use and writing, reading, pre-academic math, task completion, health behavior and safety, communication through a PECS book and signs, science, and physical education. The team also developed a number of accommodations and modifications, including voice output devices, special writing utensils, and access to strategies for sensory motor matters and for reduced auditory and visual stimuli. 16. In addition to the foregoing, the May 17, 2011 Solana Beach IEP team recommended the following special education program for Student: placement full time in a regional moderate-to-severe program with one-to-one adult support throughout the school day; individual speech therapy two times a week for 30 minutes; individual occupational therapy two times a week for 30 minutes; group adaptive physical education two times a week for 30 minutes; and transportation to and from school. The team did not specify the school location of the program. Instead, the team scheduled a transition IEP meeting for May 19, 2011. Several weeks later, on June 7, 2011, Mother signed her consent to the May 17, 2011 IEP. 17. On May 19, 2011, San Dieguito convened an IEP meeting for Student. The purpose of the meeting was to discuss and plan Student’s transition from elementary to middle school. The team members included Mother, representatives from Solana Beach, and representatives from San Dieguito. The meeting lasted about 30 minutes due to time constraints. During the meeting, the team discussed the new moderate-to-severe program that the District was opening at Oak Crest Middle School. The other moderate-to-severe program is located at Earl Warren Middle School. The team invited Mother to tour the Oak Crest campus. During the meeting, the Solana Beach members provided Student’s health care plan. Maryanne Dittman, the nurse for San Dieguito, also gave Mother medical authorization forms. At the conclusion of the meeting, the team agreed to reconvene. 18. Rachel Page testified at the due process hearing. Ms. Page is a special education teacher at Earl Warren Middle School where she has worked for five years. Ms. Page has been a special education instructor for 15 years. At Earl Warren, Ms. Page is the teacher in the moderate-to-severe class in which Mother wants the District to place Student. The testimony of Ms. Page was unbiased and professional, and was given great weight. Ms. Page testified that, prior to the May 19, 2011 transition IEP meeting, Mother observed her classroom at Earl Warren Middle School on two occasions. The observations were at orientations arranged by the District. The first visit occurred in mid-April 2011, and the second visit occurred at the beginning of May 2011. Ms. Page testified that, after the first visit, Mother sent her an email which stated that she did not think that Earl Warren would be a proper placement for Student because the functioning level of the pupils was too high for her son. 19. Cathy Funke testified at the hearing. Ms. Funke is employed by the San Diego County Office of Education where she acts as a program specialist for the NCC SELPA. Ms. Funke has served as a program specialist for the SELPA for seven years. She has 18 years of experience as an educator, including nine years as a special education instructor. The SELPA has assigned Ms. Funke to work with the San Dieguito where she is part of the administrative team for special education matters. In this role, she serves as the District’s administrative designee at IEP meetings. Ms. Funke coordinated and attended Student’s transfer IEP on May 19, 2011. After this IEP meeting, Ms. Funke arranged for Mother to visit the Oak Crest Middle School. 20. Mother testified at the hearing. She is an ardent and effective advocate for Student. Mother testified that her primary concern for Student is his health, and that her secondary concern is his education. She admitted that, at the first observation of the moderate-to-severe class at Earl Warren Middle School, she thought that Ms. Page was teaching far above the level of Student. In fact, Mother sent Ms. Page an email which mentioned this fact and which expressed criticism of the manner in which the teacher used her classroom aides. Mother testified that, after the second observation and discussions with Ms. Funke and Ms. Page, she was satisfied that Earl Warren could meet Student’s needs. Mother also testified that she quickly learned about the new moderate-to-severe program at Oak Crest Middle School, and formed a strong opinion that she did not want such placement for Student. 22. Bretten D. Pickering, M.D., testified by telephone at the hearing. Dr. Pickering is a pediatrician who treats special needs children, including Student. Dr. Pickering described an abdominal migraine as a severe form of stomach pain that is resistant to traditional therapy. Dr. Pickering stated that Student’s abdominal migraines occur unpredictably: such episodes can happen in the morning, at night, during the weekend. He also stated that Student is bound to have abdominal migraines in the future. Dr. Pickering testified that, due to Student’s autism, the treatment of his abdominal migraines involves warm water. Dr. Pickering stated that early intervention in the abdominal migraine cycle is important to avoid pain and retching. He stated that, if there is a prolonged delay in treatment, Student will need to go to an emergency room and receive IV therapy. Dr. Pickering testified that a delay of 15 to 30 minutes is significant in terms of breaking the progression of an abdominal migraine. Dr. Pickering recommended that, for maintaining his best health, Student should attend a school close to home. 23. On May 26, 2011, Mother sent an email to Twila Ginn and Rachel Page. The email stated, in part: “Cathy F(unke) just called me regarding touring Oakcrest on June 6. I told Cathy I can do this, but I do not foresee agreeing to this school for (Student) due to the issues I’ve raised.” Ms. Page responded to the email message on the same day. 24. On June 7, 2011, Mother and Cathy Funke visited the Oak Crest Middle School. The two toured the Oak Crest campus and visited the classroom which would contain the moderate-to-severe program. Mother testified that, during this visit, Ms. Funke told her that San Dieguito was going to place Student at Oak Crest for the 2011-2012 school year. Ms. Funke denied making this statement. On this issue, Ms. Funke is more credible for the following four reasons. First, Mother also testified that, during the visit, she explained Student’s abdominal migraines and the need for a more proximate placement, and that Ms. Funke responded by stating that she would take such information under advisement. Taking a matter under advisement is not consistent with a statement that the District planned to place Student at Oak Crest. Second, Mother testified that, at the time of the tour, she had definitely decided against Oak Crest as a placement. It appears that Mother projected this adamancy onto Ms. Funke. Third, Mother regularly sent email messages to school teachers and administrators, but she did not send an email contemporaneous with the June 7, 2011 tour that charged Ms. Funke with predetermination. Finally, Ms. Funke is a professional and experienced school administrator who has received extensive training in IEP matters. She knows that an IEP team cannot engage in predetermination, and she studiously avoids this shortcoming in the IEP process. 25. On June 9, 2011, San Dieguito reconvened and finished Student’s transition IEP meeting. Twelve team members attended this meeting, including Mother; Cathy Funke who acted as the District’s administrative designee; Twila Ginn, Theresa Wetherhold and Jeanne Johnson from Solana Beach; and Rachel Page and Maryanne Dittman from San Dieguito. The team discussed the substantive content of the May 17, 2011 IEP prepared by Solana Beach. In particular, the team discussed Student’s present levels of academic achievement and functional performance, the goals, and the various accommodations and modifications set forth in the IEP. Team members who testified at the due process hearing, including Ms. Ginn, Ms. Wetherhold, Ms. Page and Ms. Funke, stated that Mother fully participated and provided input in this discussion. 26. The June 9, 2011 IEP team then discussed the moderate-to-severe programs at Earl Warren Middle School and Oak Crest Middle School. Rachel Page led this discussion. Ms. Page testified that she informed the team of Mother’s reaction after her first visit to Earl Warren: that the class would be far too challenging for Student. Ms. Page further testified that she agreed with this initial reaction, and recommended to the team that Oak Crest was a more appropriate placement for Student. Ms. Page explained that the Oak Crest mild-tomoderate program would have pupils that matched Student’s level of functioning, whereas the Earl Warren class would have many returning eighth graders who were more advanced than Student. Ms. Page also explained that the Oak Crest campus and classroom were more suitable than Earl Warren to meet Student’s needs for a learning environment that is quiet yet affords mobility. The team also discussed the fact that, while Earl Warren would have a part-time health technician on campus, Oak Crest would have a full-time health technician who would be available to address Student’s medical needs. 27. At the June 9, 2011 IEP meeting, Cathy Funke then offered the special education program set forth in the May 17, 2011 IEP, in the moderate-to-severe classroom at Oak Crest Middle School. Mother expressed her strong disagreement with this offer, and her preference that the District place Student at Earl Warren Middle School. Mother spent at least 10 minutes informing the team of her medical concerns for Student. She also gave a demonstration of what happens to Student when he experiences an abdominal migraine. In response, the District nurse, Ms. Dittman, informed the team that in her opinion the extra distance to Oak Crest was not a concern because, while Mother is in transport to the school, the health technician can follow Dr. Pickering’s orders and care for Student. The IEP team members who testified at the due process hearing, including Ms. Ginn, Ms. Page and Ms. Funke, stated that the team considered Mother’s concerns and that they also fulfilled the team’s responsibility of taking all of Student’s unique needs into account in recommending placement at Oak Crest. 28. Mother did not consent to the June 9, 2011 IEP. Mother testified that she believed that the District predetermined the offer of placement at Oak Crest Middle School. Against this testimony, Ms. Ginn, Ms. Wetherhold, Ms. Johnson, Ms. Page, Ms. Dittman and Ms. Funke each stated that the IEP process was open and that the team did not make an advance decision on Student’s placement. Mother also testified that she believed that the District offered to place Student at Oak Crest in part due to retaliation by Rachel Page. In this regard, Mother stated that she probably offended Ms. Page with her email sent after the first orientation visit to Earl Warren Middle School. Ms. Page denied that she wanted to retaliate against Mother, and there was no other evidence which suggested that retaliation was a motive in the District’s offer of placement at Oak Crest. 29. At the hearing, Mother produced a short video of Student experiencing an abdominal migraine. The episode occurred on August 3, 2011. The video showed Student in obvious discomfort. Mother testified that the abdominal migraine occurred in the home setting, that she attempted the warm bath intervention which was not effective, and that she was taking Student to the hospital. Mother also admitted that, if Student suffers an abdominal migraine at school, she might not be at home, and that there are other factors which may delay her arrival to the school site. 1. In a special education administrative due process proceeding, the party seeking relief has the burden of proof. (Schaffer v. Weast (2005) 546 U.S. 49 [126 S.Ct. 528, 163 L.Ed.2d 387].) In this case, Student has brought the complaint and has the burden of proof. 8. In this case, Student’s due process complaint presents issues of both procedure and substance. The issue of procedure concerns Student’s claim that the District engaged in predetermination in deciding to place him at the moderate-to-severe class at Oak Crest Middle School. The issue of substance concerns Student’s claim that the subject IEP did not address his unique health needs. In keeping with the directive from Rowley, this Decision first will determine the procedural issue and then decide the issue of substance. Issue 1: Did the District violate Student’s procedural rights by predetermining his placement at Oak Crest School, thus significantly impeding Parent’s opportunity for meaningful participation in the IEP process? 13. A parent does not have a veto power at an IEP meeting. (Vashon Island, supra, 337 F.3d at p. 1131.) Likewise, just because the team does not adopt a placement preferred by the parent, does not mean that the parent did not have an adequate opportunity to participate in the IEP process. (B.B. v. Hawaii Dept. of Education (D.Hawaii 2006) 483 F.Supp.2d 387, 394.) The evidence in this case indicates that, rather than the District engaging in predetermination and a denial of Mother’s right to meaningfully participate in the IEP process, Mother and the remainder of the IEP team simply had a good faith disagreement about the appropriate placement for Student. Issue 2: Is the District’s offer of placement of Student at Oak Crest School for the 2011-2012 school year, one that will not meet his unique needs and provide him with educational benefit because it is too great a distance from his residence? 16. When the foregoing factors are considered, the conclusion is clear that, by deciding to place Student at Oak Crest Middle School, the District has considered the unique needs arising from his abdominal migraine episodes and offered a placement that will not place him in danger. The conclusion is also clear that Student should be in school, and not spending the entire day at home. The District did not engage in predetermination in the IEP process. The June 9, 2011 IEP is reasonably calculated to provide Student with educational benefit, and addresses his unique needs. Therefore, Student’s claims for relief are denied.